This set is perfect for any outdoor dining experience. 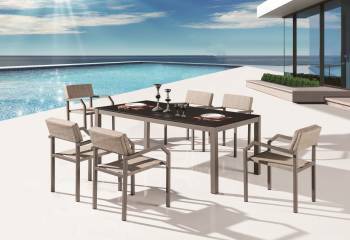 The quiet reference to contemporary design elements is visible in the sleek and simple curves of the Barite Dining Set for 6. 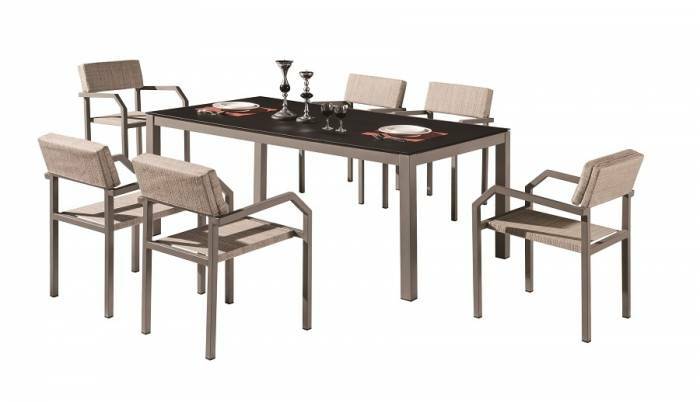 This dining set is capable of accommodating six people at once by offering the comfort of resin-weaved chairs. 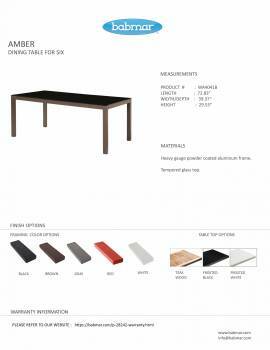 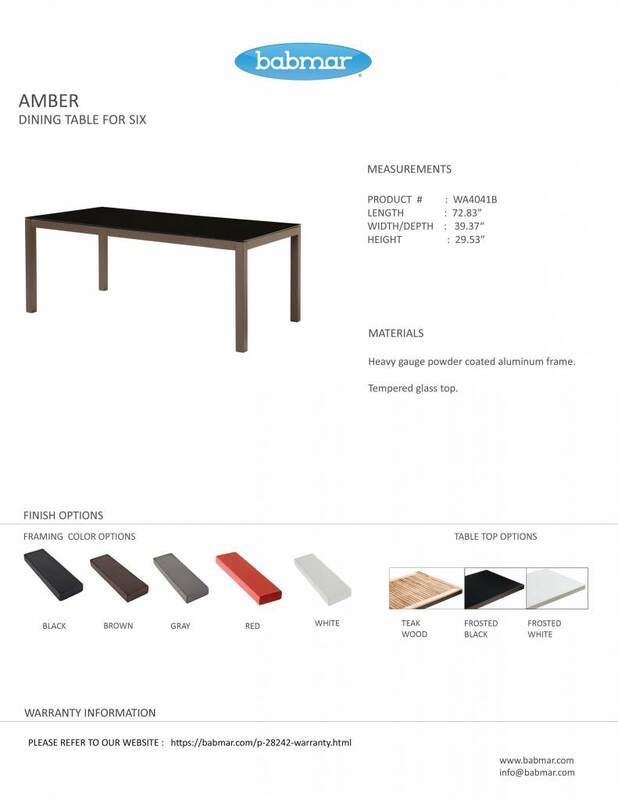 A rectangular table has been provided with a glass tabletop in order to complement the appearance of the entire ensemble. 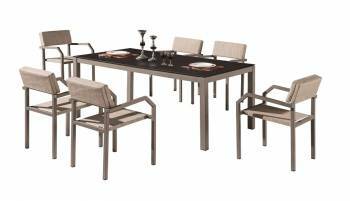 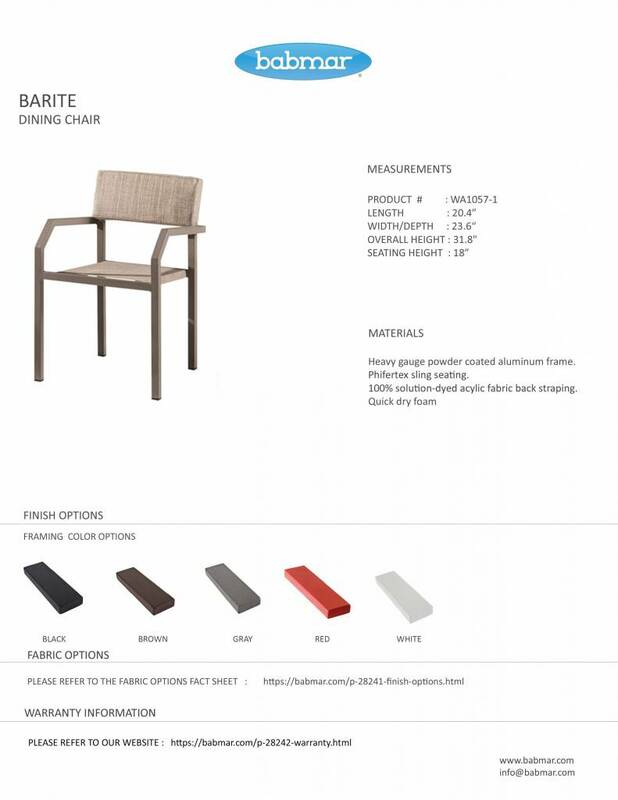 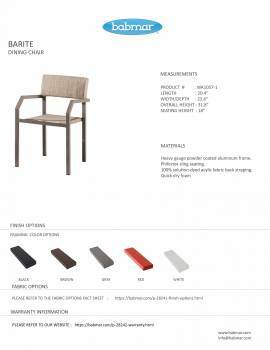 Offering excellent outdoor suitability and resilience, this dining set takes care of user comfort with the ergonomizally-styled backrests and comfy armrests.